This post is a bit of a hodgepodge, just a chance for me to tell you all what I’ve been up to and an excuse for me to get things straight in my head if I’m being honest. It’ll be a quick one I promise. I got wayyyyy behind on my podcasts lately so I’ve been playing catch up. 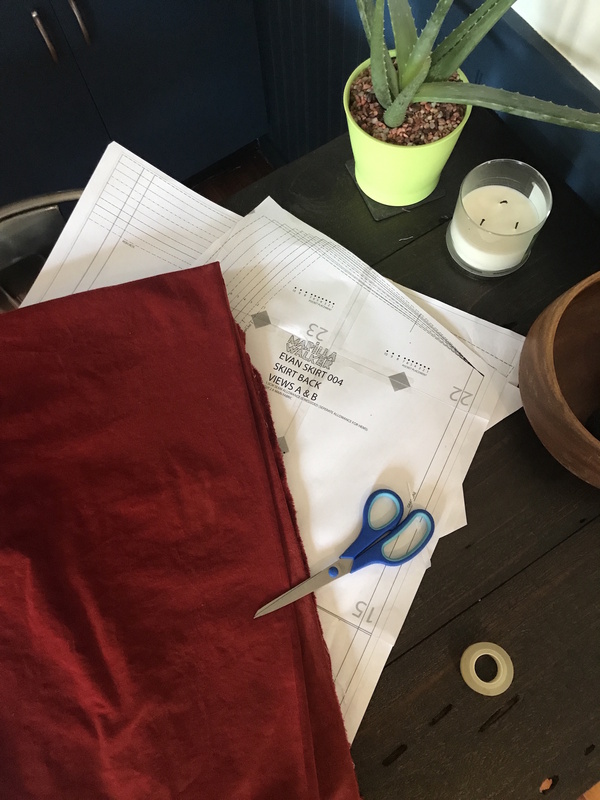 I recently listened to the Love to Sew episode on organizing your sewing plans. This is something I’ve been struggling with. I am such a magpie. I have patterns and fabrics paired ready to go and then all of a sudden I see something else and I grab that and the other stuff falls by the way-side. 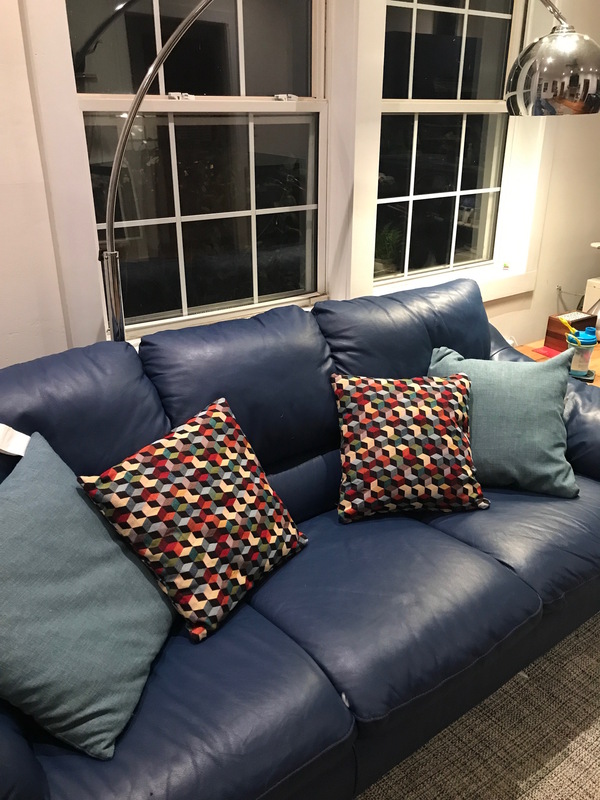 The episode has inspired me and to help with this, I organized my sewing space, and made sure to leave out the next four projects I want to complete. These are projects that will fit with the season and mostly will work together as outfits which I need. They will also help me with my make nine which I’m not doing great on tbh. Button down shirt using amazing Dear Stella scuba astronaut flannel – pattern to be decided. Deer and Doe Arum dress in Art Gallery burnt orange rayon – peeerffect for the temperature right now! 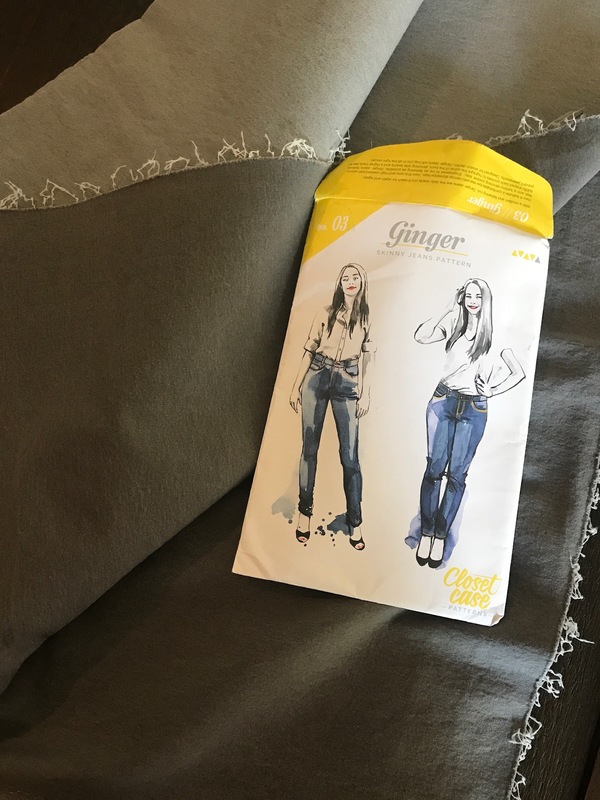 Ginger Jeans – I WILL MAKE THESE BEFORE THE END OF THE YEAR. I’m embarrassed to admit, I’ve had the pattern and fabric for these for 18 months. I traced out the pattern 6 months ago…aaaannnd I signed up to the Heather Lou Jeans workshop. So, as you can see I have no excuse. Plus these are on my make nine. I think I fell into that age old trap of thinking I’ll lose weight and thinking I’d make them then. Not putting it off any more. Nikko Top by True Bias, I made one last Autumn and wore it to death. 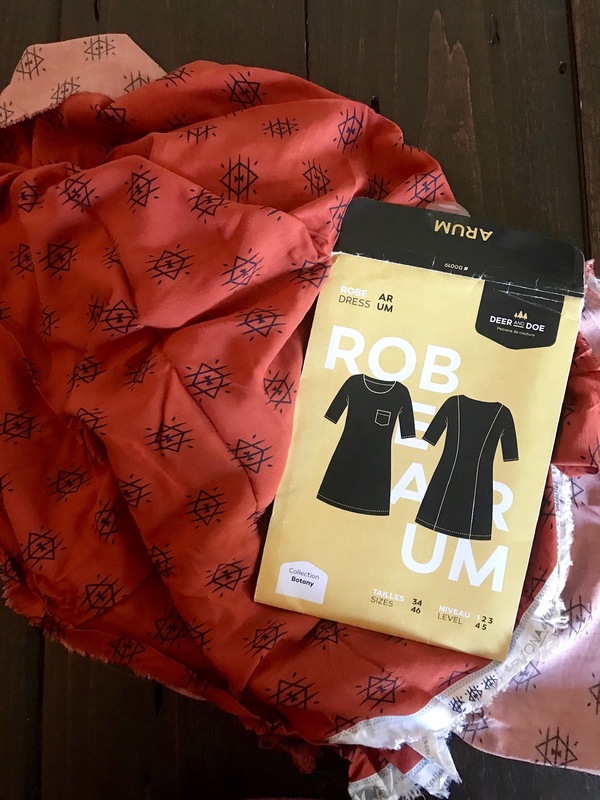 I have some beautiful mustard yellow french terry from Girl Charlee that I used to make a Rosy Pena Chloe cropped sweater earlier this year and I have enough left for the Nikko Top. I think the colour will work with a lot of my clothes. Unfortuantely I couldn’t get a photo that would do it justices. Why the sudden need to organise? Welllll, let me tell you. 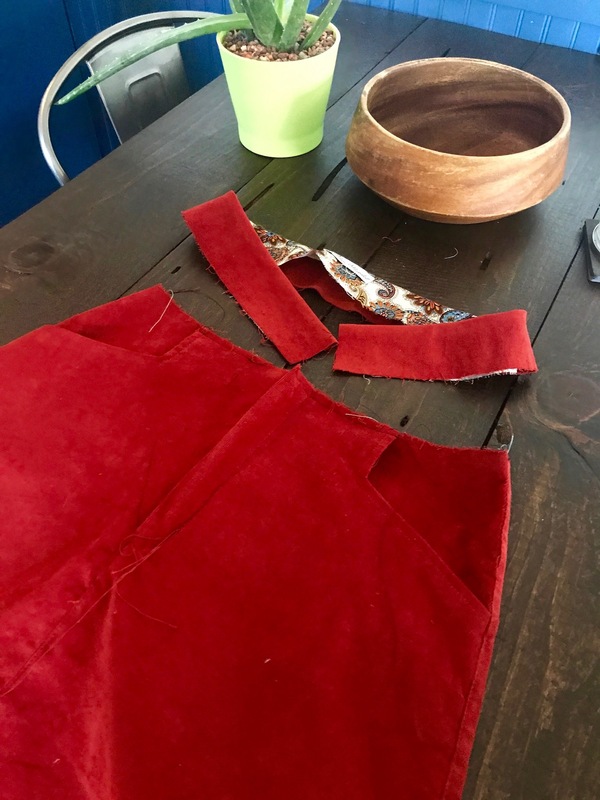 After a series of sewing disasters/struggles, I was kind of in a situation where I wanted to sew something but I didn’t want it to be too difficult or matter too much. This led to be to be at my local Joannes picking up some zips to make cushions for the couch (perfect easy pattern) when I found the most amazing flannel fabric on sale for $2.80 a yard. It had donuts and rainbows on it. I mean, how could I resist?! 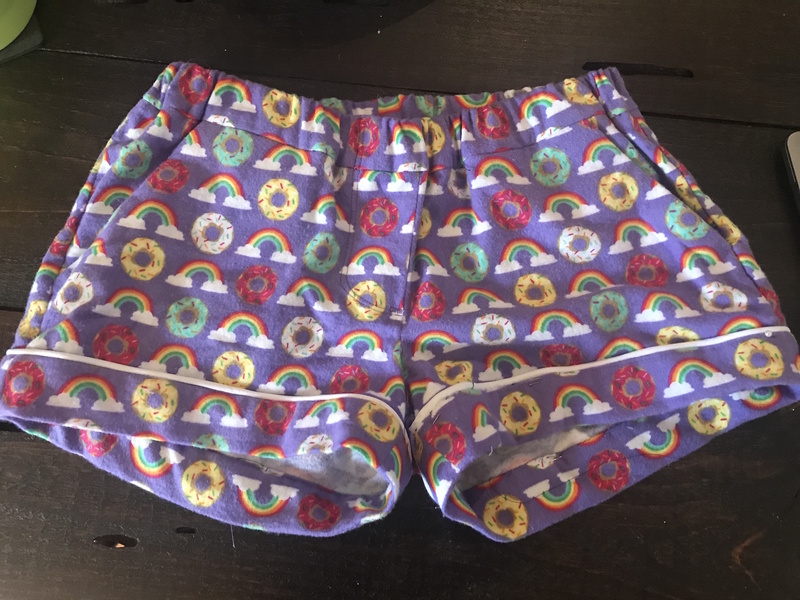 Plus, I’d offered to teach someone to sew starting with a pair of Closet Case Carolyn Pyjamas which I hadn’t made before so saw this as the perfect excuse to try before teaching…do you like how I justify? Come one though, look at the fabric! ALLLLL the heart eyes. Roll on about a million visits to Joann’s as I didn’t buy enough fabric and their online ordering is terrrrible and while I was milling about the store waiting for them I stumbled across some beautiful burnt orange corduroy (I’m a sucker for cord). It too was on sale and I’d be thinking about making a nice plain skirt to have as a staple this winter. I’d had the Marilla Walker Evan pattern laying about forever so it seemed to good an opportunity to miss….again, good justification skills right? It looks more red in this picture but honestly, it’s orange. See – this is what I mean?!? I’d not finished my pyjamas, yet here I am buying fabric for another project. Due to having to wait for the donut fabric I actually started my Evan skirt and now I have both projects happening simultaneously. This is something I’ve never done before but I kind of like it. If I’m getting frustrated with one, I can move onto the other. Plus, they both have some design elements/construction techniques that I’ve not come across before so I’m really enjoying the process. I told myself I wanted to take my time and enjoy sewing rather than rushing to the end product. Both of these projects I’ve done that with and I’m really happy with how they are going and how little sewing stress I’m feeling. 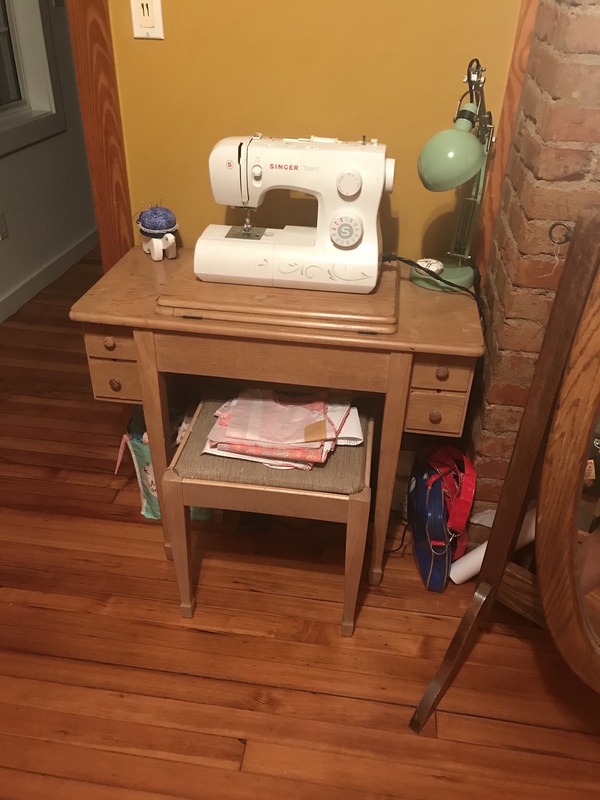 It also helped that recently I got to set up a little sewing space in the spare room. This has meant I get to do lots of mini sessions in between my lessons, or just whenever I have time – TOTAL GAME CHANGER! Neither project is finished just yet but I’ll be sure to blog about them when I’m done. 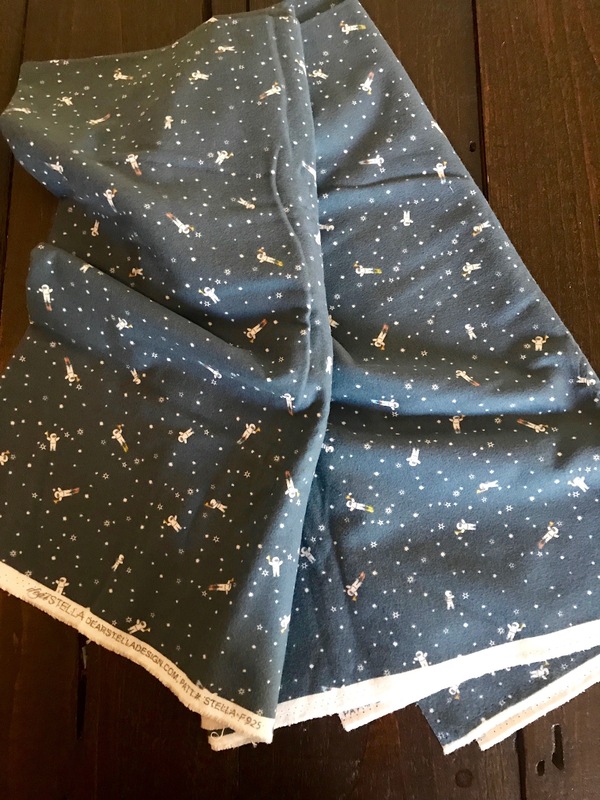 After my skirt and pyjamas are finished though – repeat after me Sam – I WILL ONLY SEW THE 4 PROJECTS I SET OUT….I WILL ONLY SEW THE 4 PROJECTS I SET OUT…..I WILL ONLY SEW THE 4 PROJECTS I SET OUT. I’m hoping you guys can help by holding me accountable, ask me where those jeans are in like a month!! 2018 is coming to a close and by the end of it, I will be a jeans sewer!